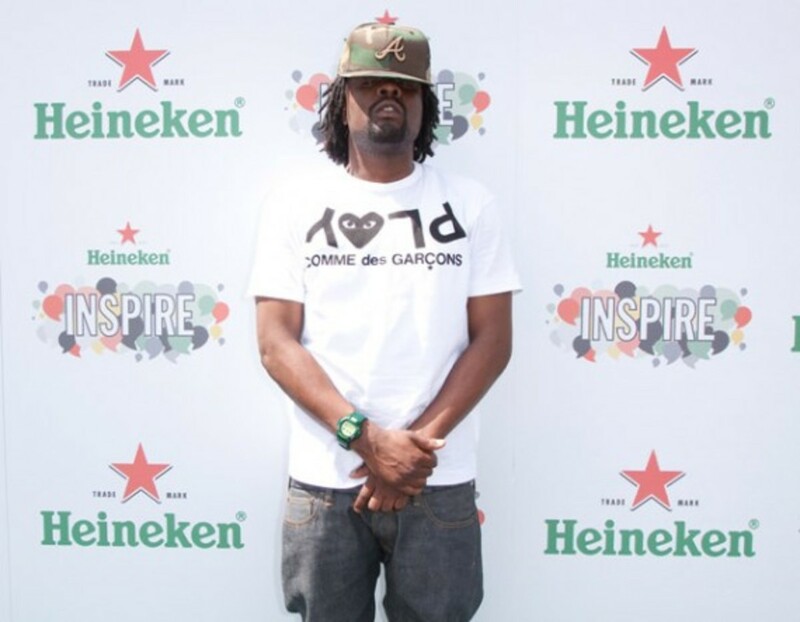 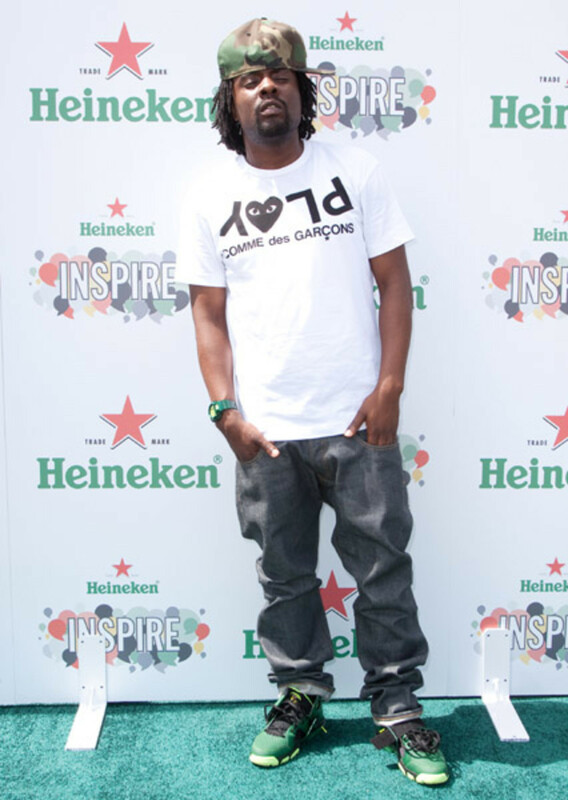 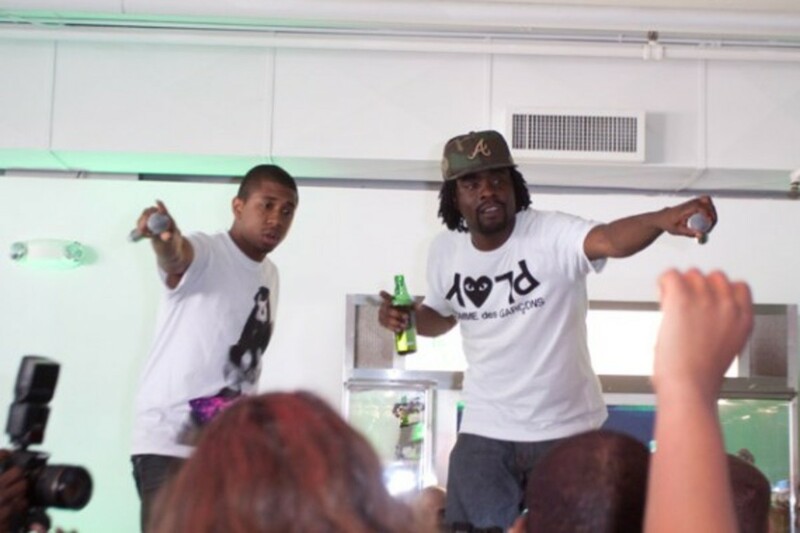 Wale showed up to the Heineken Inspire event in Miami this weekend rocking a White COMME des GARÇONS PLAY t-shirt along with a camouflage New Era 59FIFTY fitted cap and a pair of unreleased Nike Huarache TR Mid&apos;s, which we saw a preview of at the Nike Athletic Training 2010 Media Showcase. 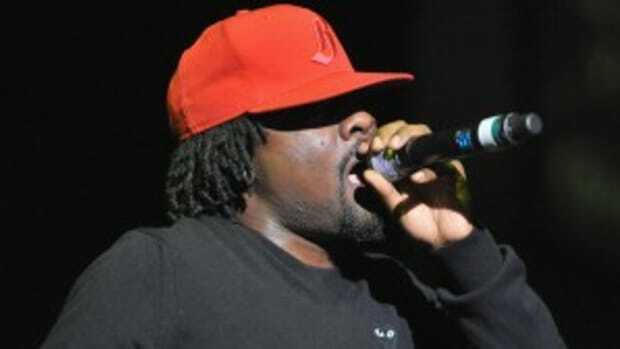 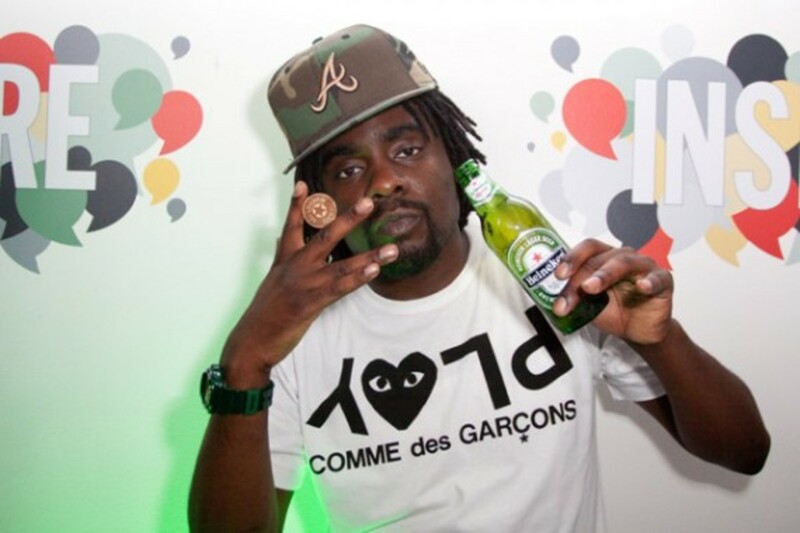 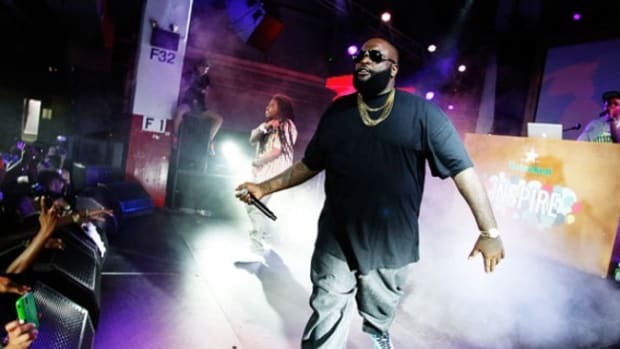 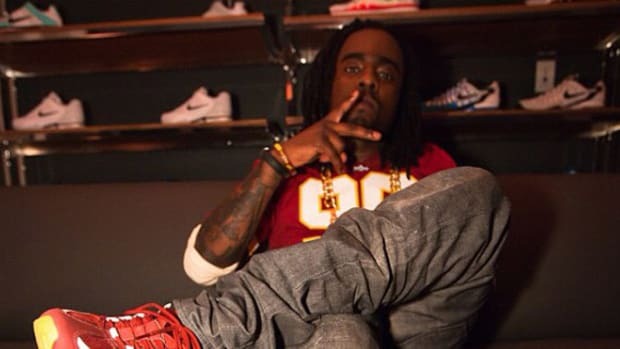 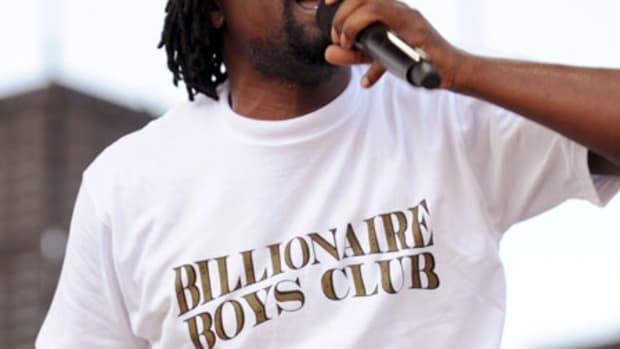 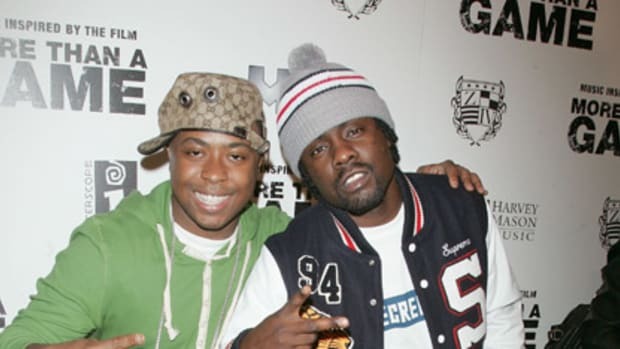 Wale whose been known as a sneakerhead ever since coming onto the scene a couple of years is also quite the streetwear aficionado being one of the few rappers who we&apos;ve seen rock COMME des GARÇONS PLAY, the others being Kanye West and Drake. 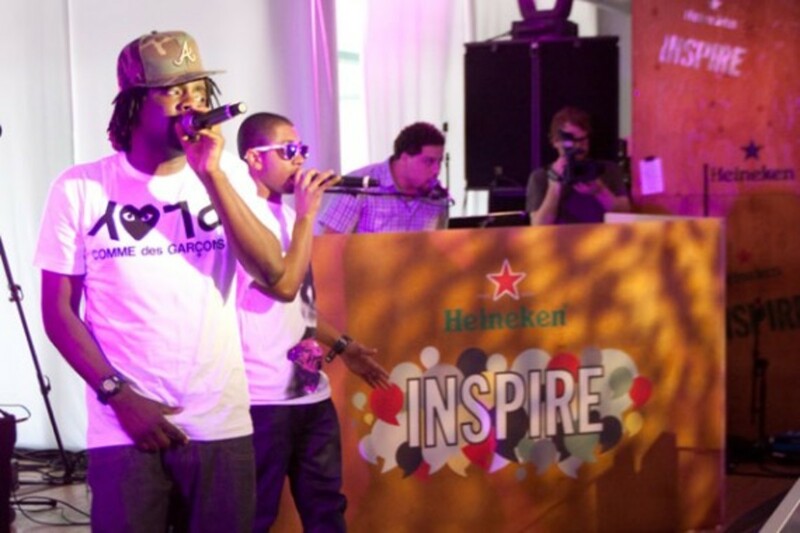 The Heineken Inspire series of invite-only events will continue in Chicago, New York, and Los Angeles through the Summer.